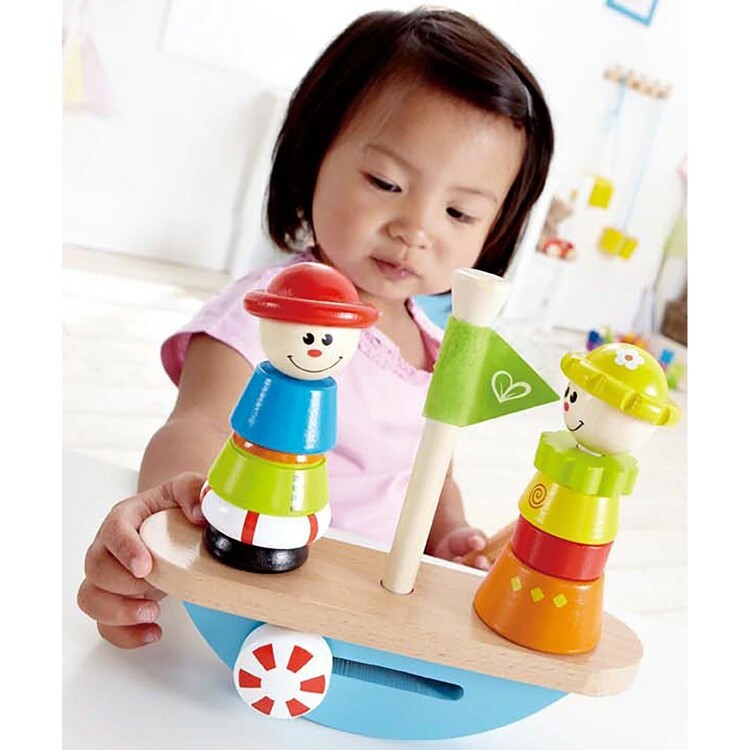 A stacking toy, a pretend play boat, a creative character building set, this Hape's Balance Boat will surely bring manipulative fun for children. 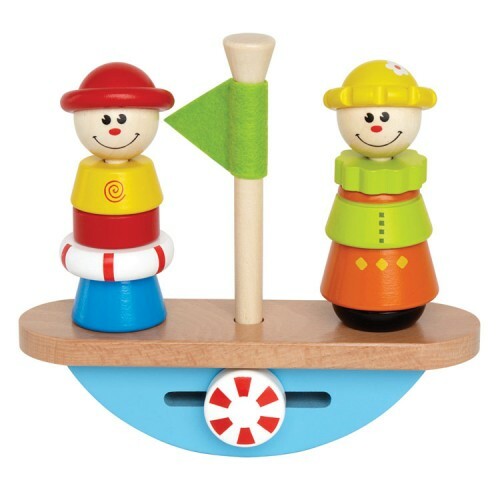 Stack, sort and balance two friendly sailors on board of the wooden sail boat! 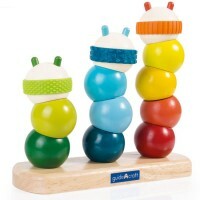 Balance Boat Wooden Stacking Play Set by Hape offers a new approach to kids classic stacking activity toys. 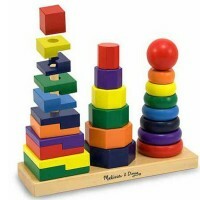 Your child will try to stack the wooden pieces on each side without tipping the boat. 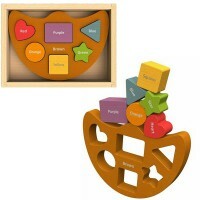 Problem solving and spatial thinking of your toddler or preschool child will flourish as they try to balance the boat! 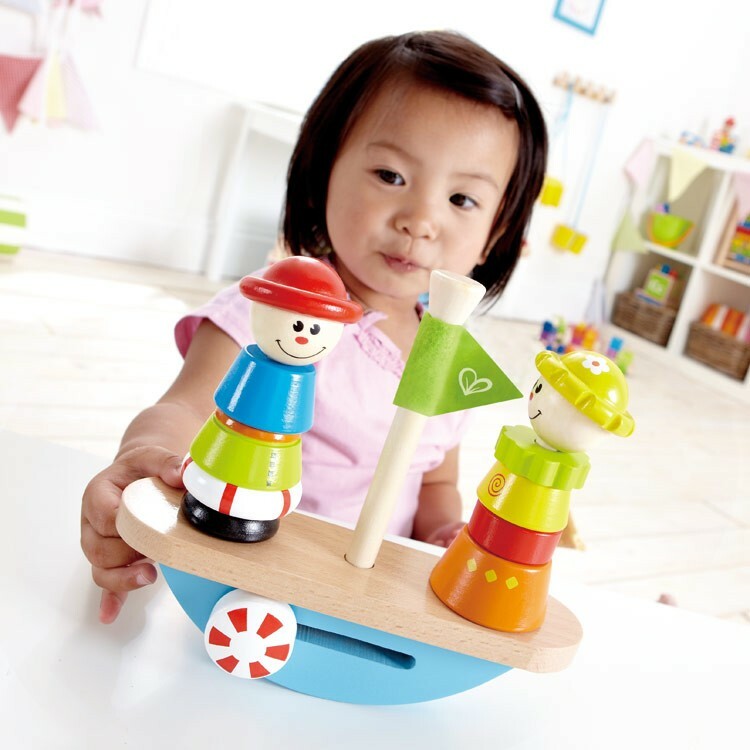 The Balance Boat Wooden Stacking Play Set features 11 pcs including colorful stacking wooden rings that easily fit onto pegs. 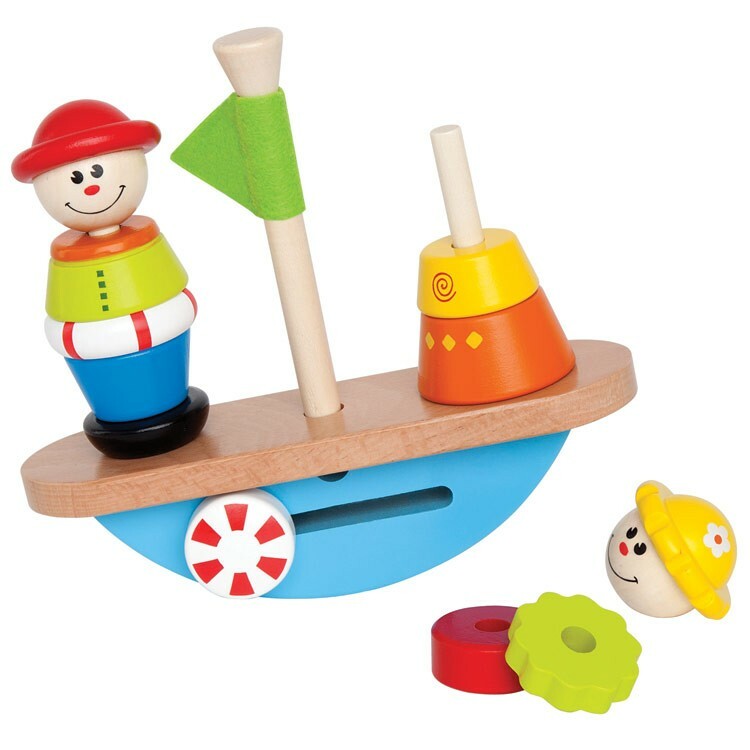 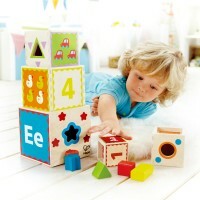 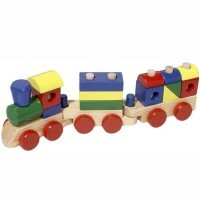 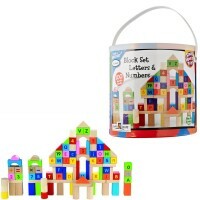 This stacking boat play set from Educational Toys Planet is made of maple wood coated with water-based paints. 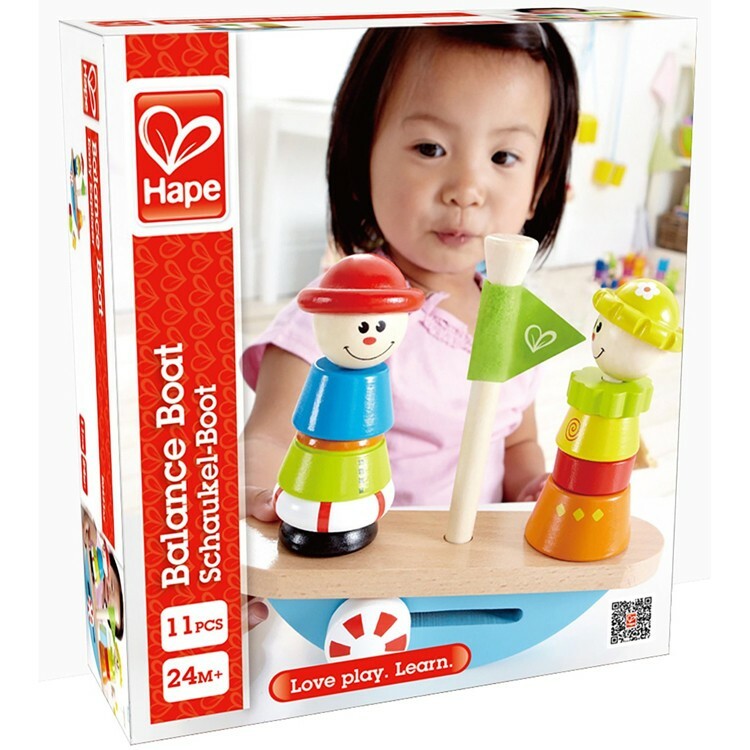 As all Hape's developmental toys, the Balance Boat complies with all US toy safety regulations. 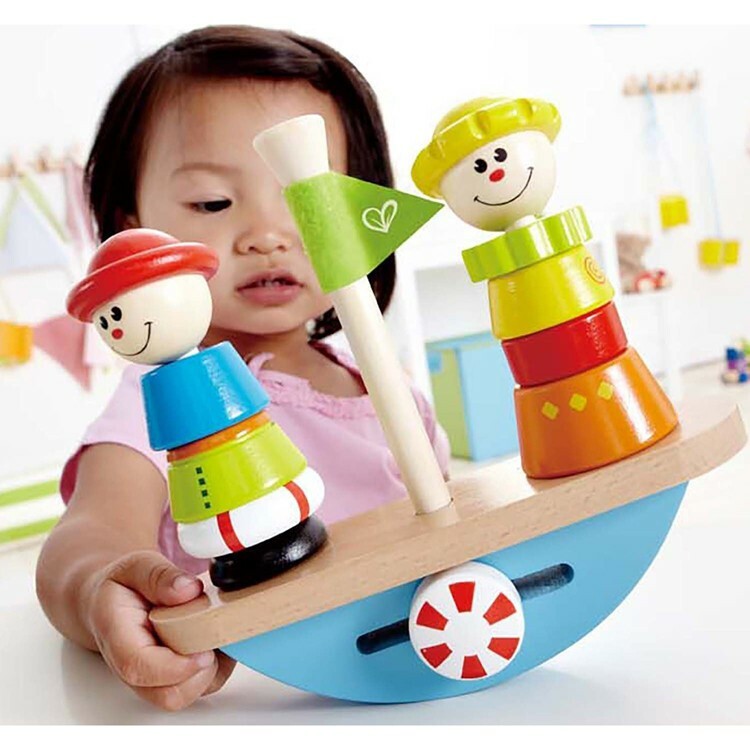 A stacking toy, a pretend play boat, a creative character building set, this Hape's manipulative toy will surely bring fun playtime for children. 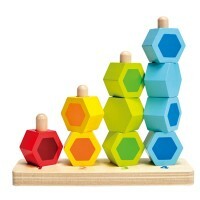 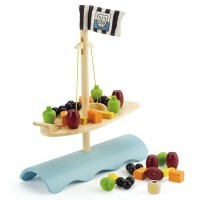 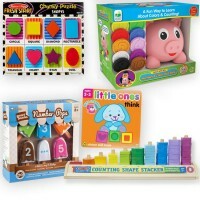 Dimensions of package 2.2" x 7.7" x 7"
Write your own review of Balance Boat Wooden Stacking Play Set.